Robertson Paving offers the most experienced excavating, demolition and septic repair services in the greater Flat Rock, IN area. Our commitment to excellence as earned us the reputation as the best excavators in the state. 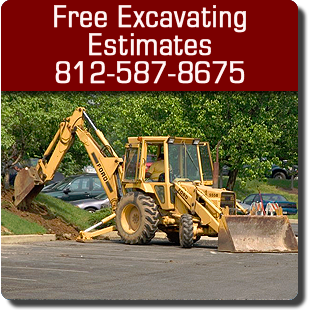 We specialize in both residential and commercial excavating. Contact Robertson Paving today at 812-587-8675 for a free estimate, or browse our website for more information about asphalt and concrete or trucking and conveyor.